Beautiful punched tin and old aged glass WALL sconce. Handmade by artisans in Mexico, these traditional wall hanging sconces are versatile enough to work in any room of your home. Wired. Punched tin and old aged glass WALL sconce, this beautiful handcrafted piece is made with punched tin patterns and glass by artisans in Mexico. 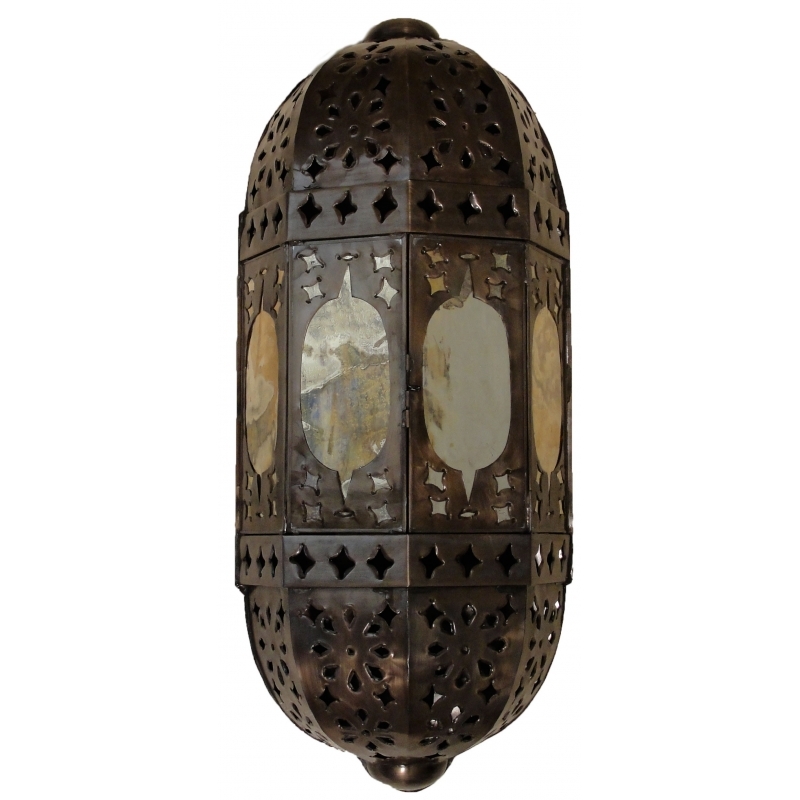 These traditional lamps are versatile enough to work in any room of your home, regardless of the decor! The stylish glass panels are etched for an ambient light effect that is soothing and beautiful. Since each rustic tin fixture is hand crafted, color and finish may vary slightly from what’s pictured here. • Hinged bulb access door.